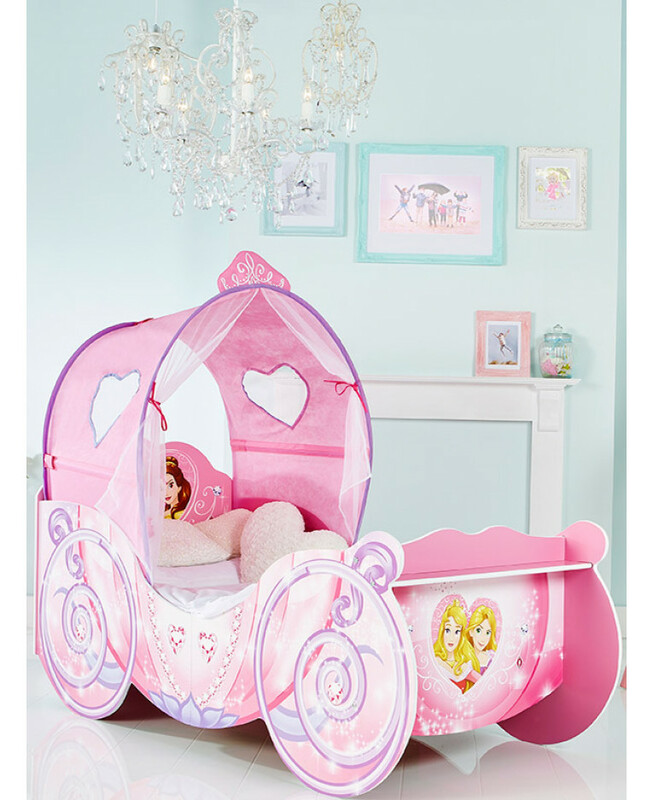 Stunning princess carriage shaped bed - the ultimate princess bed! 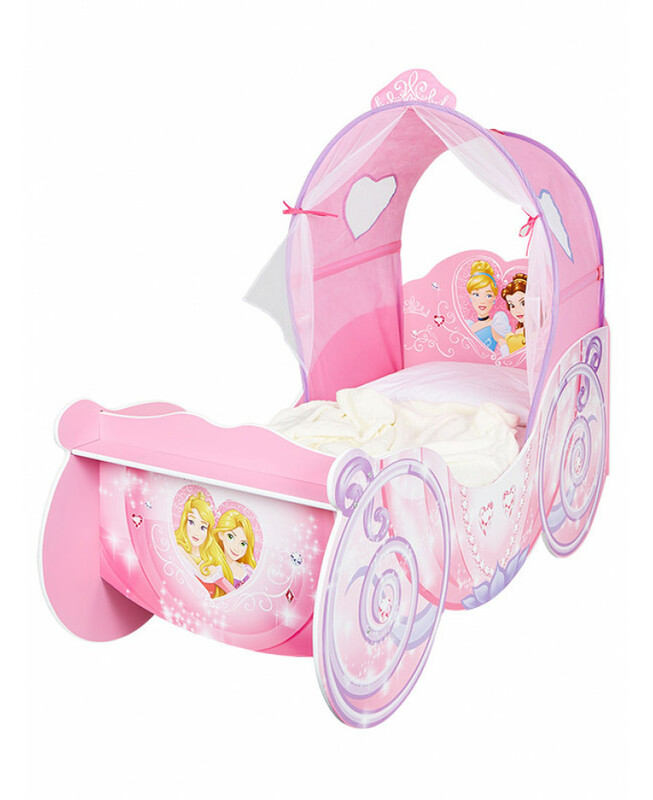 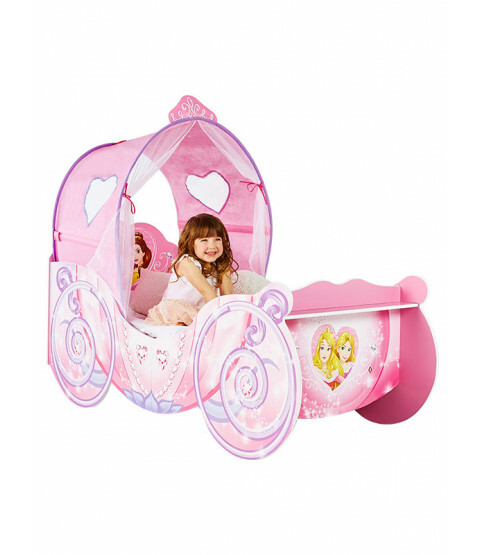 Make the move to her first big bed magical with this Disney Princess Carriage Toddler Bed. 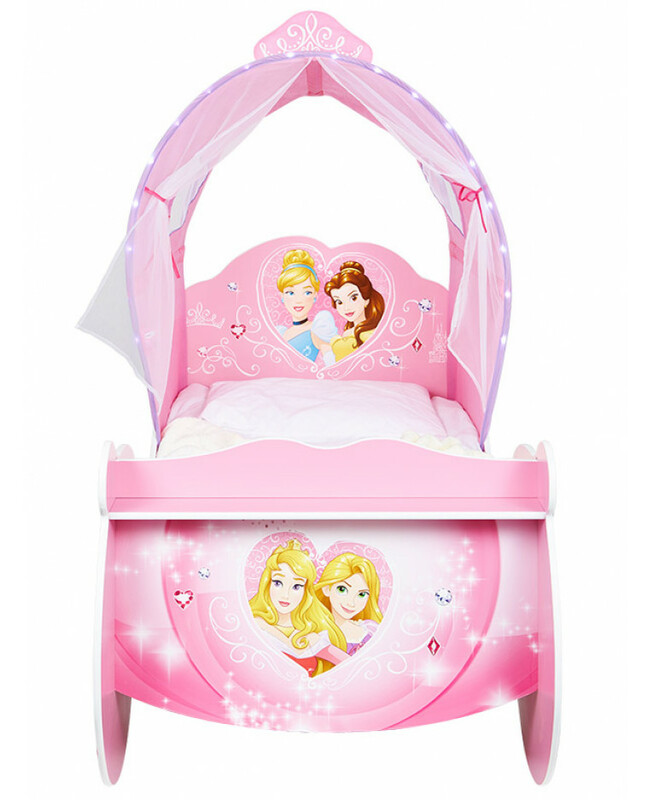 The toddler bed is every little girl’s dream come true with its beautiful over bed canopy and Disney Princess detailing. 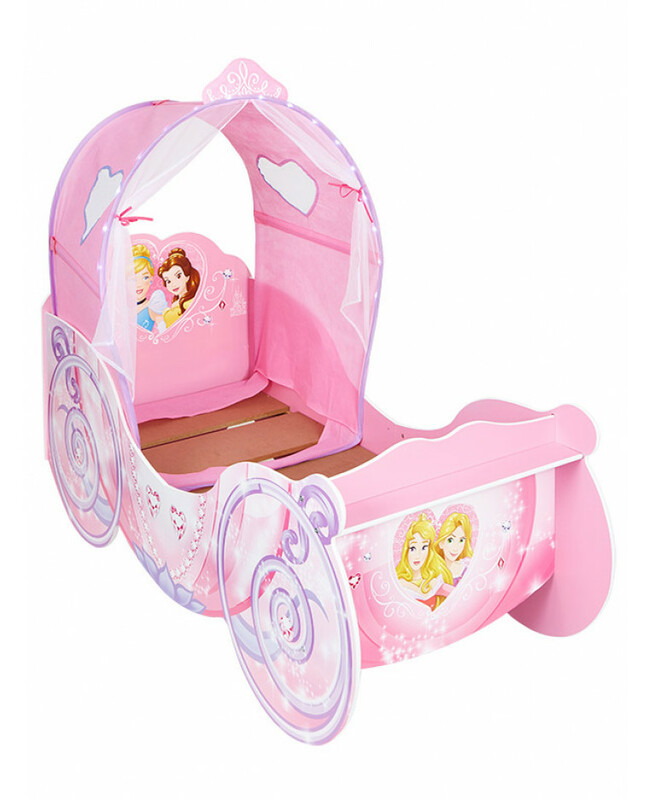 The perfect height for little legs to hop up on, the delightful Disney Princess Carriage Toddler Bed is practical too, with protective side panels to stop bedtime tumbles and a sturdy MDF bed frame which has been tested to the highest safety standards, to keep her safe and snug all night long.